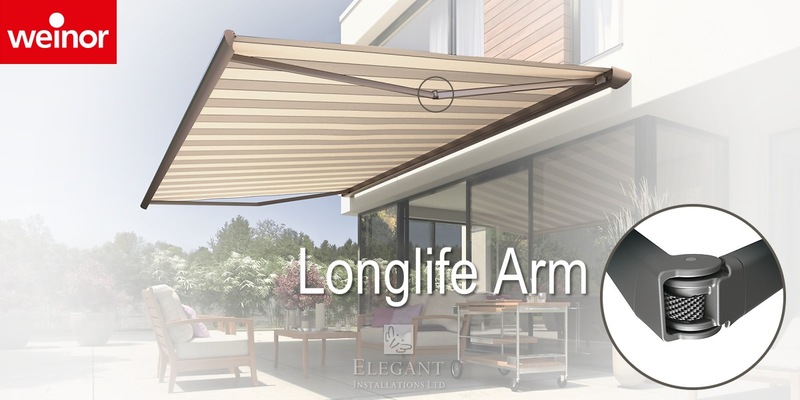 Weinor awnings are resilient and long-lasting, a combination of high-calibre design and premium technology. 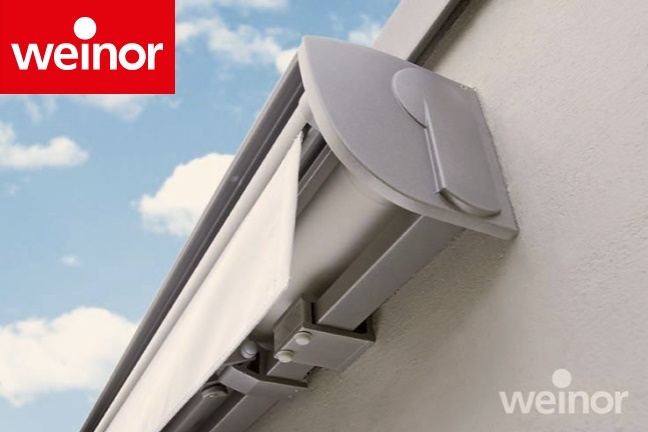 We are official weinor awnings partners and retailers, Elegant are long-term weinor dealers in Berkshire, Buckinghamshire, Oxfordshire, Wiltshire, Hampshire and Surrey UK. For many years now, weinor has consistently driven innovation in awning design and technology, and with its new generation of awnings, weinor is once again raising the bar. At the core of these developments are three aspects; design, convenience and technology. 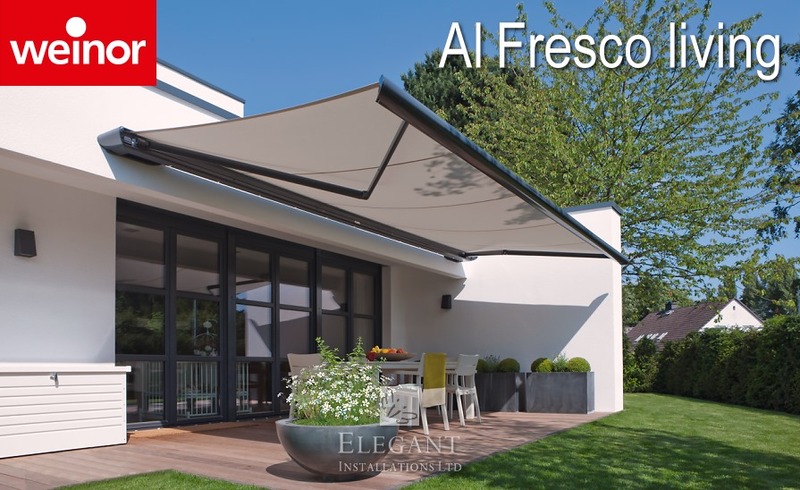 Design is a question of style and form, and whether classic or avant-garde, weinor awnings stand out for their high-quality materials with aesthetic look and shape. 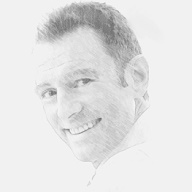 The result is ultramodern technology in a contemporary design. The weinor quality is solid, well engineered, and it looks attractive too. 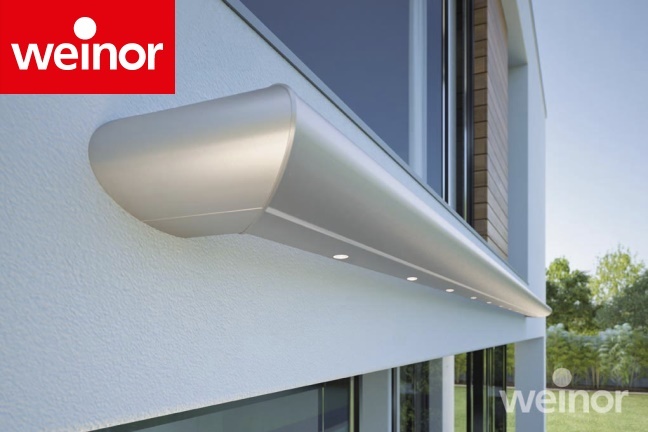 Weinor offer three categories of awning; cassette, semi-cassette or open. 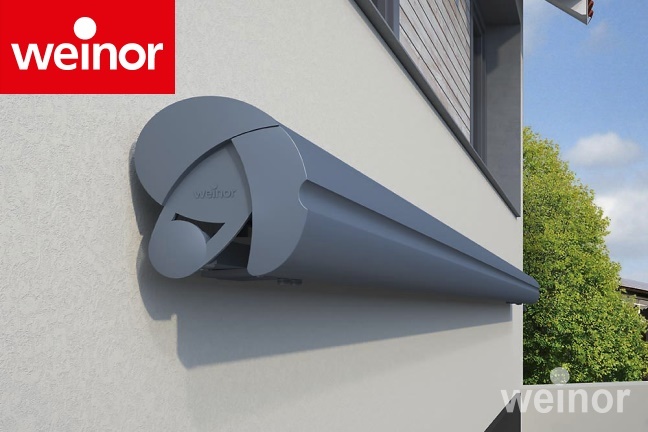 With two open models, and four cassette, weinor can offer seven model designs with a vast range of size, hardware-colour and fabric possibilities. True to its name, the weinor LongLife arm has survived 100,000 cycles in fatigue testing. Its very high tension force, even during gusty conditions, ensures your fabric stays exceptionally well positioned. With drop-forged aluminium arm joints, for even greater strength, weinor Longlife arms carry a 10-year factory warranty. The new weinor fabric patterns add an aesthetically pleasing look to your patio. Teflon EXTREME finishing makes weinor awning fabrics water and dirt repellent. What&apos;s more, the spinneret dyeing process, which locks pigment into ﬁbres, gives them consistently brilliant colour. Weinor offer a choice of two fabric collections; true colours being their exquisitely colourful acrylic fabrics, outstandingly durable in radiant colours which last, or weinor magic colours giving vibrant patterns in a high-stretch polyester, which retracts to its original smooth state in warm conditions. As weinor does all the powder coating in its own workshop, you can also rest assured that different products come with the same top-class colour tone and identical gloss level. 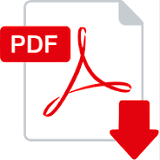 Choose from an abundance of high-quality colours, including 47 silk-gloss frame colours, plus 9 scratch resistant trend colours giving an elegant textured look. Weinor is an eco-friendly company. To ensure compliance with environmental standards, weinor manufacturing processes and materials undergo regular testing by experts. Timelessly classic, or puristically modern, with a weinor product any outdoor area becomes a quality extension of your living space. 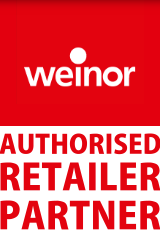 Elegant are weinor authorised retailer partners. We are dealers of weinor awnings throughout Berkshire, Buckinghamshire, Oxfordshire, Wiltshire, Hampshire and Surrey.